A miniature piece of art in the form of a greetings card! 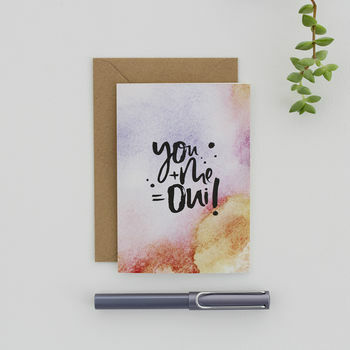 Our luxurious watercolour greetings cards are made with a whole heap of love especially for you. 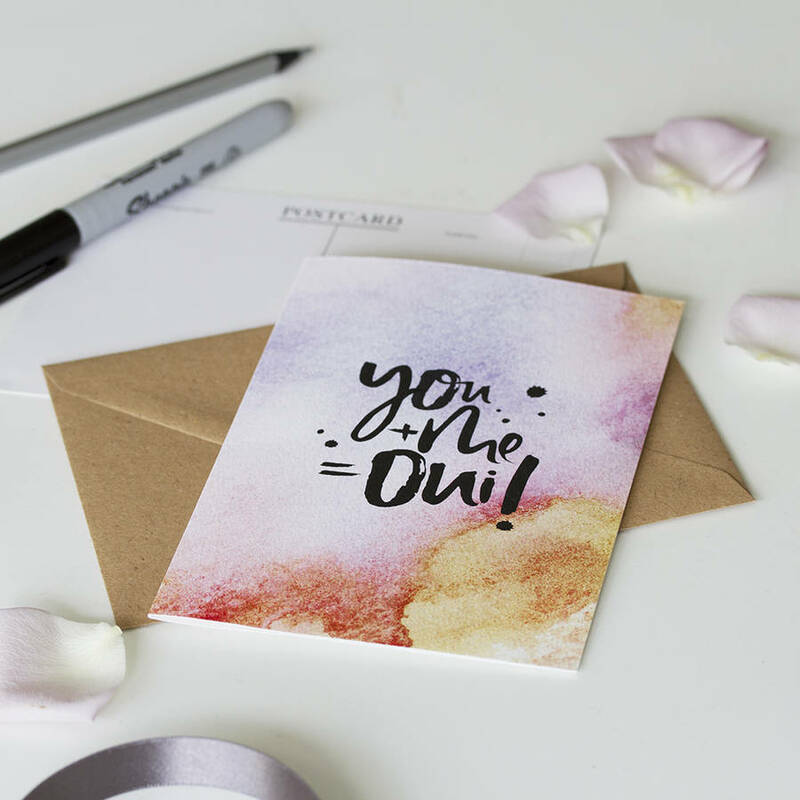 You + Me = Oui is a genuine mathematical equation in our eyes! Each of our cards are printed with a hand lettered message on luxurious FSC certified textured card and teamed with a recycled brown Kraft envelope.